Some jewels are owned by royals; others are simply fit for a queen. 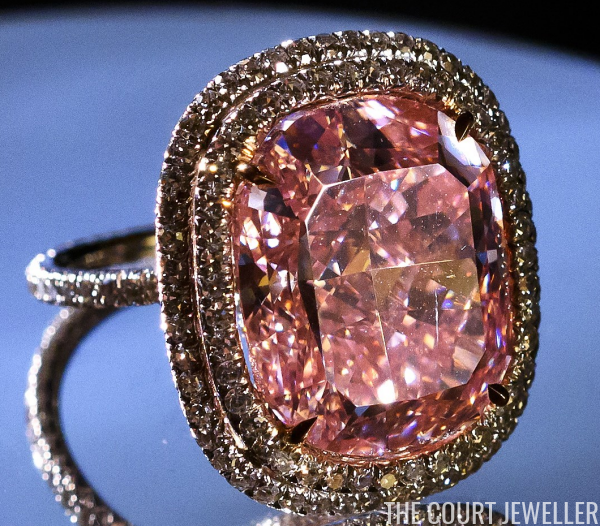 Today's ring, the Sweet Josephine Pink Diamond Ring, features one of the most valuable pink diamonds ever sold at auction. 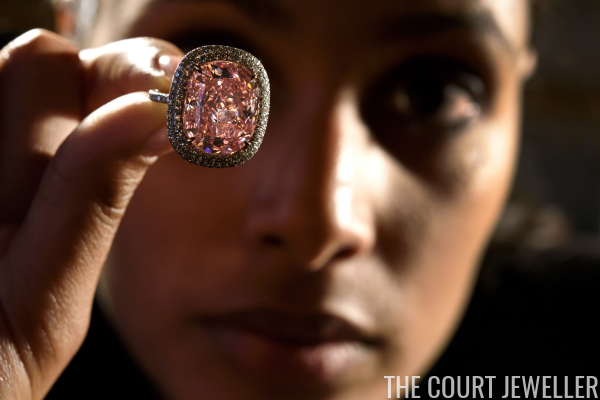 The ring garnered major public attention when it was sold at Christie's in Geneva last November. 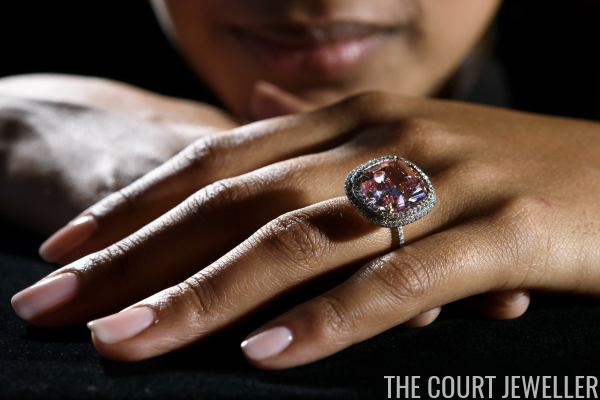 The auction notes for the piece describe it as follows: "Set with a cushion-shaped fancy vivid pink diamond, weighing approximately 16.08 carats, within a diamond twin surround, to the pink diamond gallery and diamond-set hoop, ring size 6, mounted in platinum and gold." The ring was held in a private American collection from 2000 until its sale in 2015. The pink diamond set in the ring is extremely rare; only two other similar diamonds have been publicly sold during the pasts 250 years. 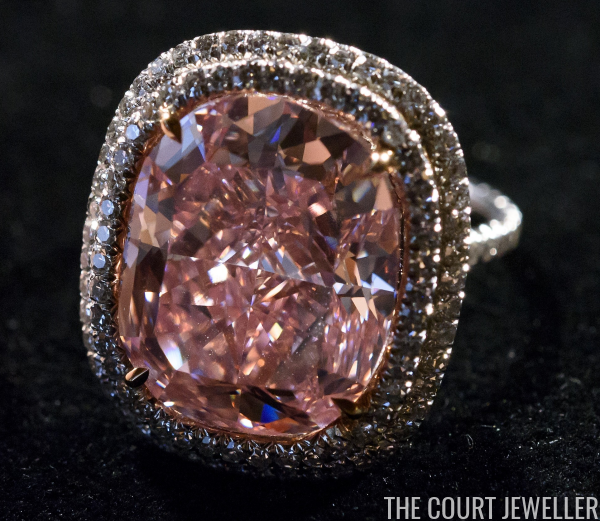 The auction estimate for the ring was set at between $23 million and $28 million.